Online class orders will be processed through Ticketbud. There are additional transaction fees added to each item ordered. Fees are set by Ticketbud (not Adventurers In Stamping) You will be able to see the fees on the Ticketbud order page when you click on the BUY NOW button. To avoid the addition fees, you have the option to mail (via U.S. Mail) your registration form. Download the mail in form below. 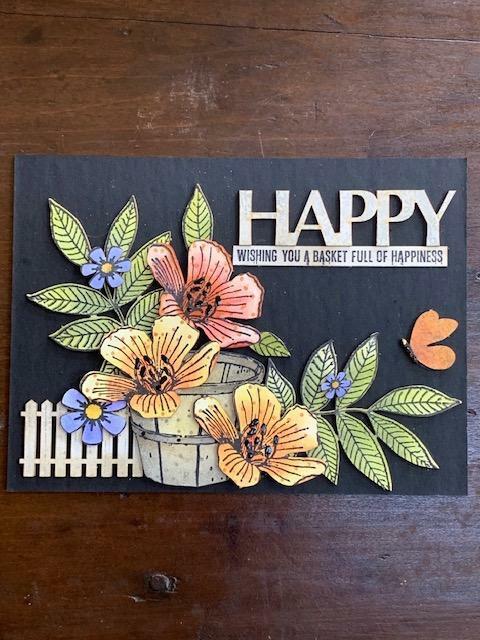 Learn to create beautiful watercolor paintings using rubber stamps, markers and a brush! 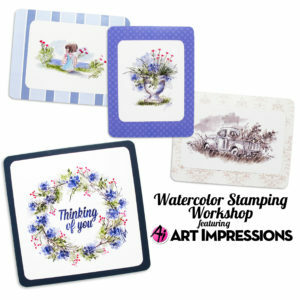 For several years, Art Impressions has introduced stampers all over the world to their exclusive technique that creates beautiful watercolor scenes. They are easy to create and versatile for all users. Each person can make these beautiful scenes their own; no two designs are alike. 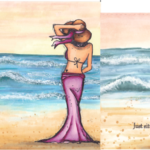 In our 2019 watercolor class, you will create stunning watercolor images including a lovely floral wreath, monochromatic truck, and a seascape with a child and sailboat. Our instructor will take you step-by-step through creating scenes and techniques with hands on training. 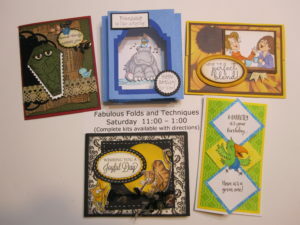 This class includes a 10% off coupon to use in our booth and a free exclusive stamp set, valued at $20. The Alcohol Ink class last year was so much fun, we thought we’d expand on it! You may get your fingers a little inky in this class while experimenting with alcohol ink colors on YUPO paper, along with some other surfaces, like Mirrisparkle, Metallic Glossy or Mirricard, to create some amazing backgrounds and layers. 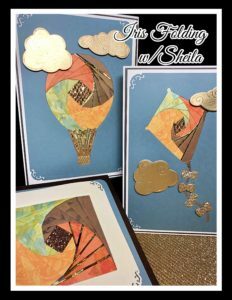 Oh yeah…did I mention, we’ll play with the Alcohol Ink Lift-Off pads also…super fun!! 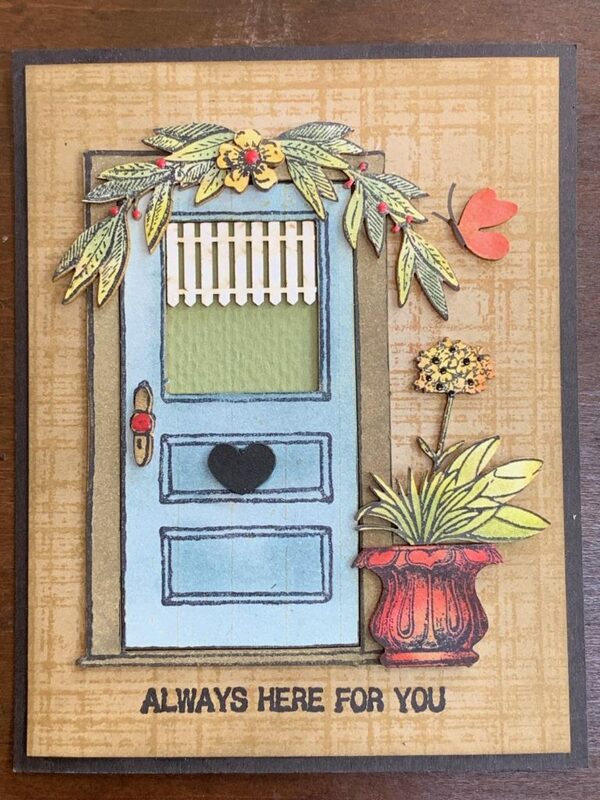 And heck while our fingers are already inky…why not throw in some other inks as well…like Peerless Watercolor to make a background and Metallic Gilding Polish to glitz up an embossed layer. 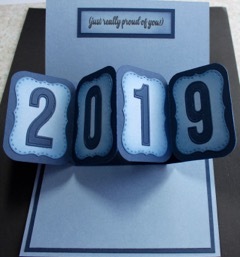 With the backgrounds and layers, we’ll coordinate with MORE metallic and sparkly papers to create 6 stunning new card designs for 2019!!! Supplies to bring to class: Scissors, tape runner (or other adhesive for card layers) and glue or adhesive (for gems/embellishment/small die cuts). We sold out last time, and you wanted more so here we go again! 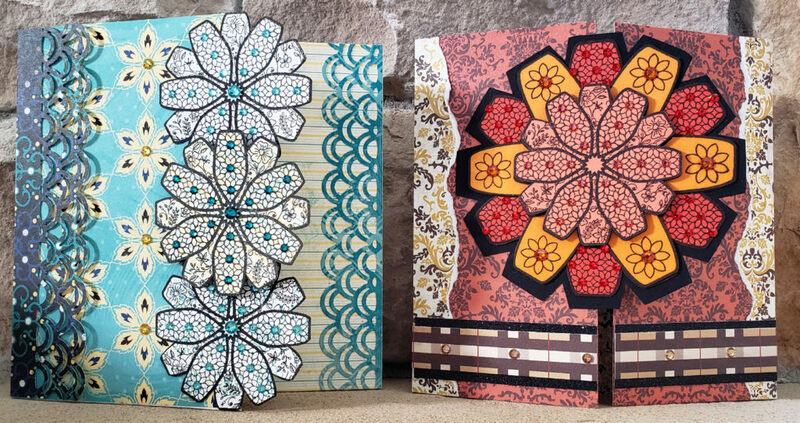 Zipper Cards 2! Join Tanya with Prickley Pear to make 5 cards with fun zipper dies from Prickley Pear Rubber Stamps! 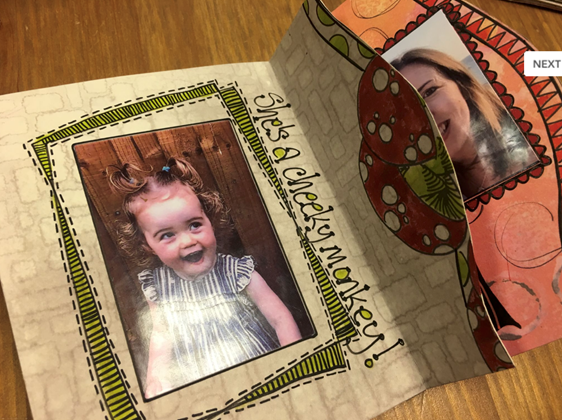 These cards are bright, fun and completely laid back-just like this class! 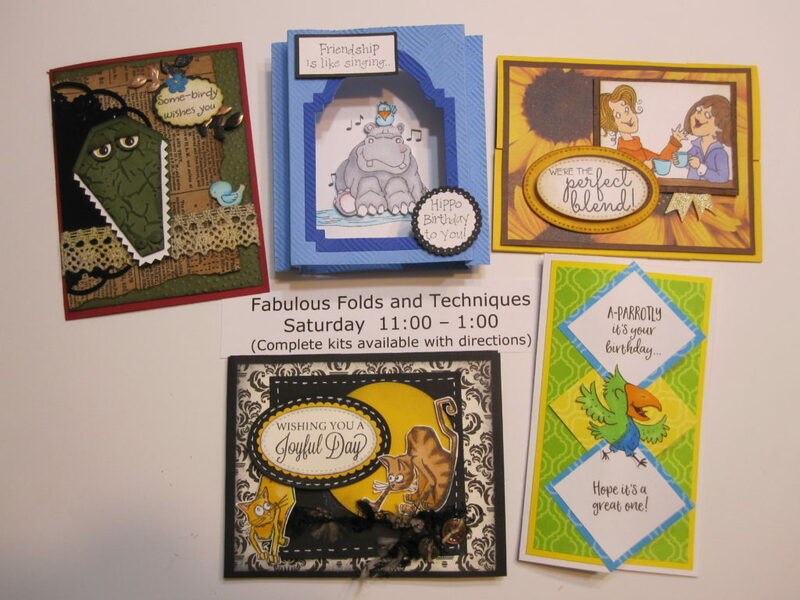 As with all of Tanya’s classes- all materials are pre-cut, pre-stamped and pre-embossed to give you more time to enjoy your class! And, as always, there are plenty of freebies! 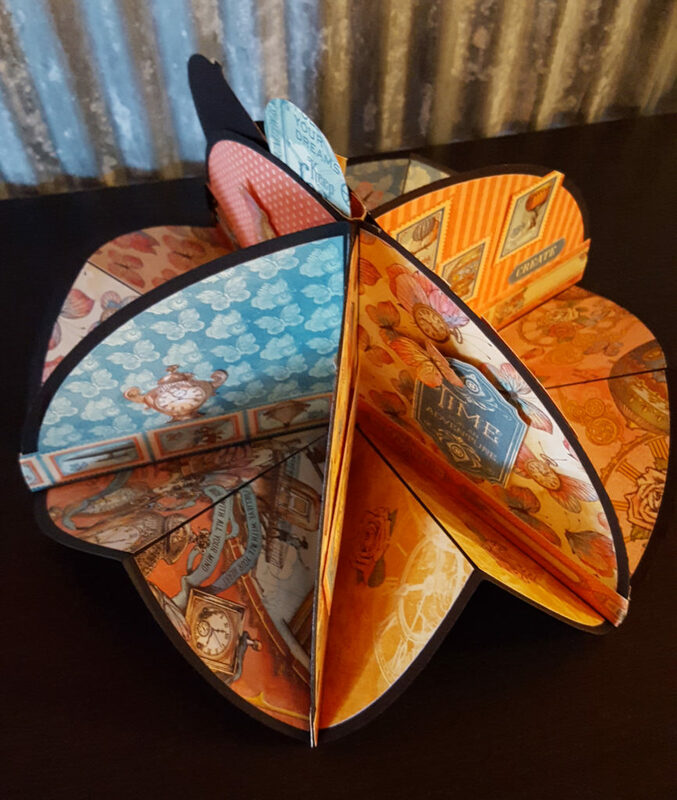 In this class we will do four cards with four different folds. We will make one Box card. 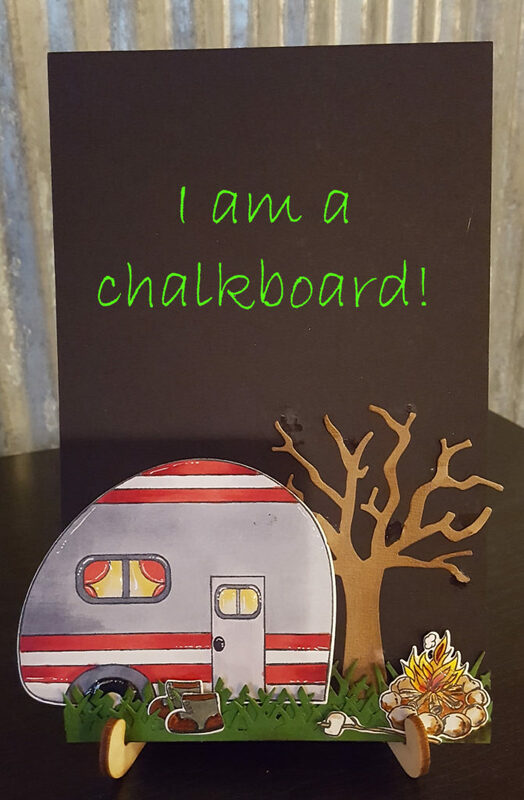 These are fun to make with one 8 ½” x 11” piece of paper and then decorate. 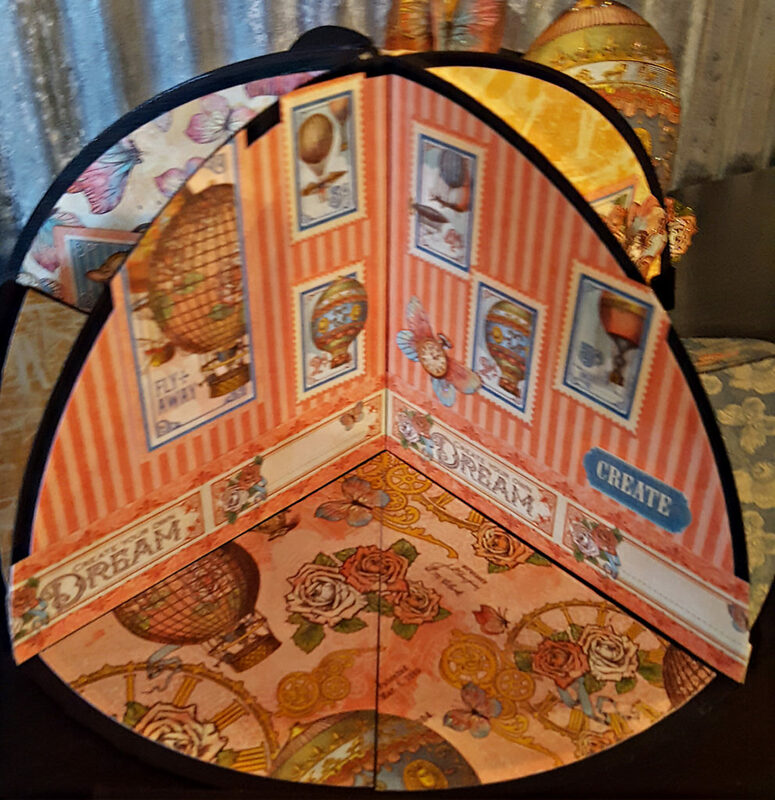 A Banner Z Fold card- super easy to score, fold and super easy to decorate. 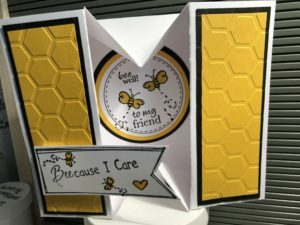 A Swinging Z Fold card – using a standard rectangle die to make a fabulous swaying card. 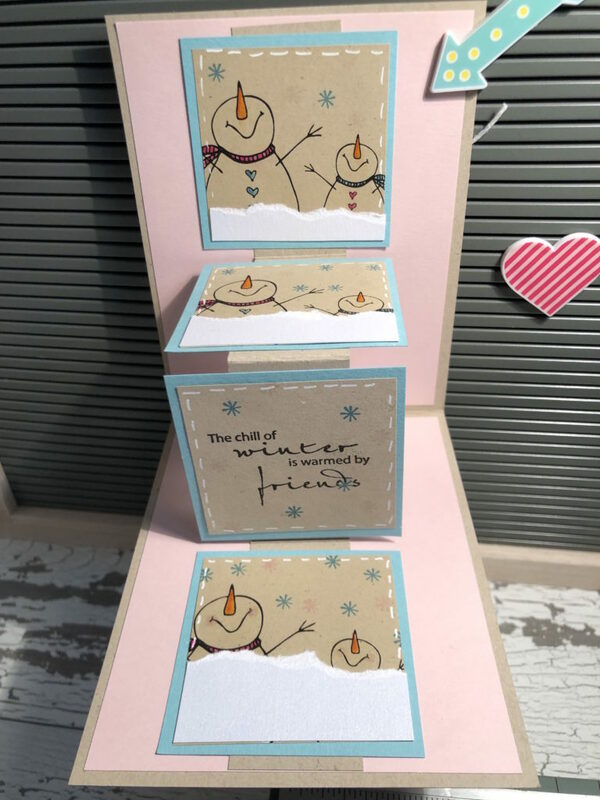 A Steno Folding Waterfall card with adorable snowmen. 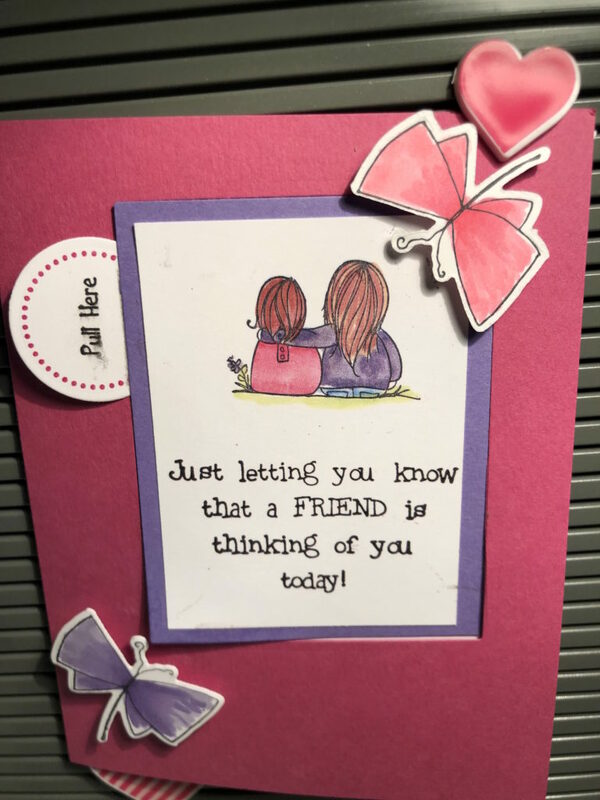 All cards are Fabulous & Friend related. Please note: some of the pattern paper may change during the year due to availability. 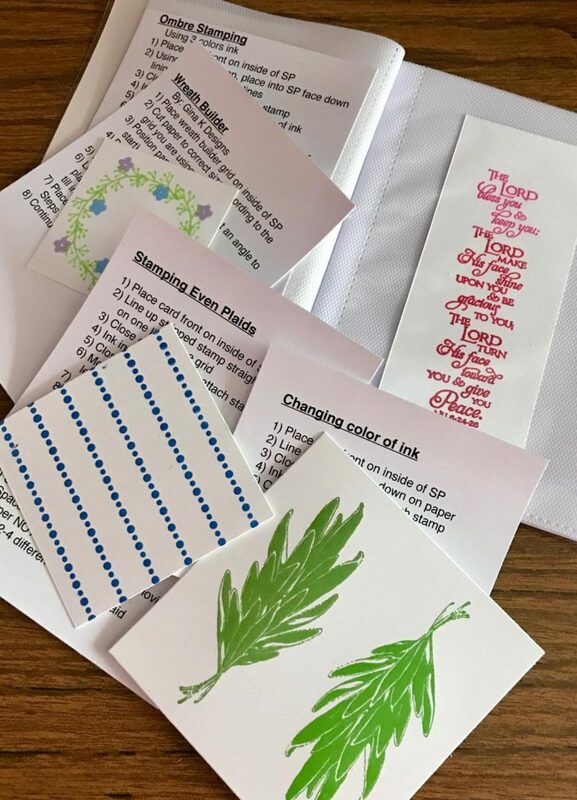 We will be showing how to use your Copic markers and your Misti with Versafine ink pads. The class will also use Zig Clean Color markers. Included with class fee, a $9.99 Flag die (used on the snowman card) and a $5 coupon to use towards a stamp in our booth. Supplies to bring to class: tape runner of your preference, foam dots & scissors. This class is designed for beginners and experienced colorists. 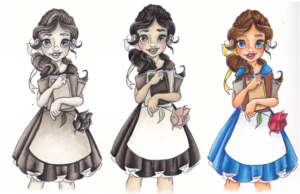 This is a great way to refresh basic skills to take your coloring to the next level. If you are a beginner, I will walk you through the basics. When class is finished you will know everything you need to know to get started with alcohol markers (copics). If you are an experienced color we will refresh basic blending skills. If you are struggling with flick, color placement, color bleeding outside your image, curious how to care for your makers, blender pen, or trouble selecting colors for your collection or project this is the great place to get your questions answered. 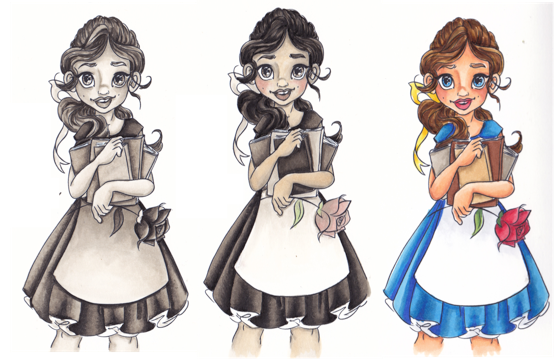 This class will cover: Copic color structure, How to care for you markers, Importance of choosing paper and ink, How to choose color combinations for beginners and advanced, Flick blending and basic blending, We will color several images. Trouble shooting session – We talk about issues you are having and offer some help. If you would like feedback on your coloring please bring something you have colored. I will offer constructive feedback. 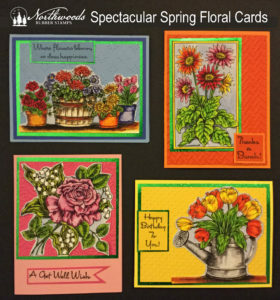 Celebrate spring by making four beautiful floral cards using Northwoods’ new floral images for 2019. Learn our special watercolor technique by stamping your images on Northwoods Watercolor Paper. 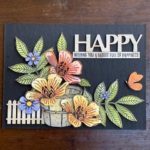 You will then color your images with Tombow markers and a wet paint brush. Using specialty papers including a new green glossy glitter paper from Best Creations, you will mat your colored image. Finally, you will glitter your cards with a glitter set from Art Glitter made especially for these cards. As a thank you for taking the class you will receive a special gift from Northwoods. Supplies to bring to class: All supplies included in the cost of class. 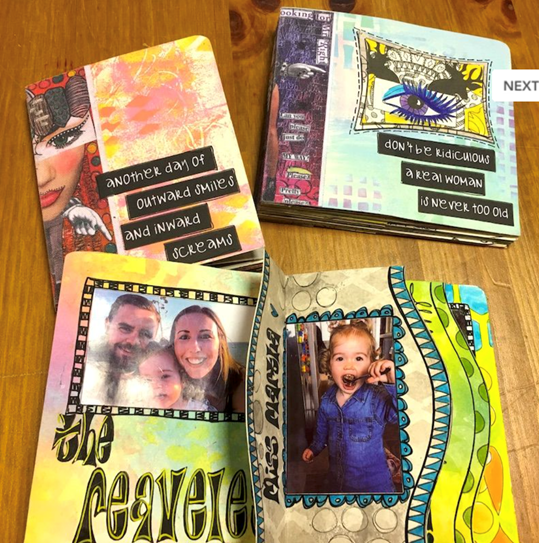 Join us as we create a beautiful art journal using stencils, sprays, paints, ink and more! 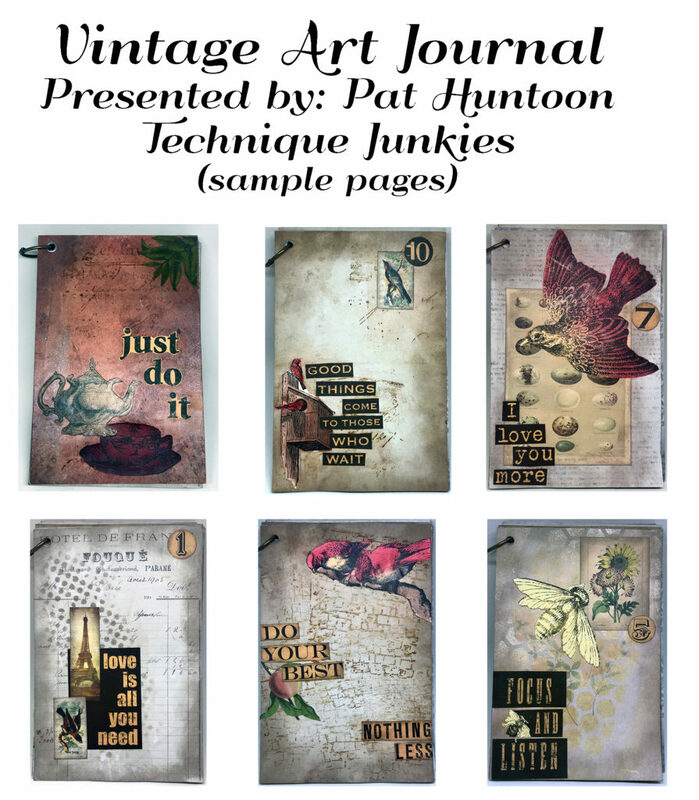 We will put together up to 10 pages plus one cover of the journal (and the student will have room to create 20 more pages on their own). 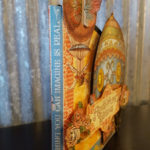 Great for beginner or intermediate mixed media artist. Some fussy cutting necessary. Supplies to bring to class: Basic craft kit plus 1” paintbrush, fine point scissors. Optional: craft mat, gloves, and apron. 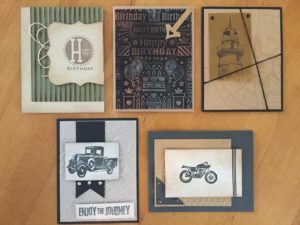 How do you emboss on vellum with NO cracks? The V.I.B.E.™way! 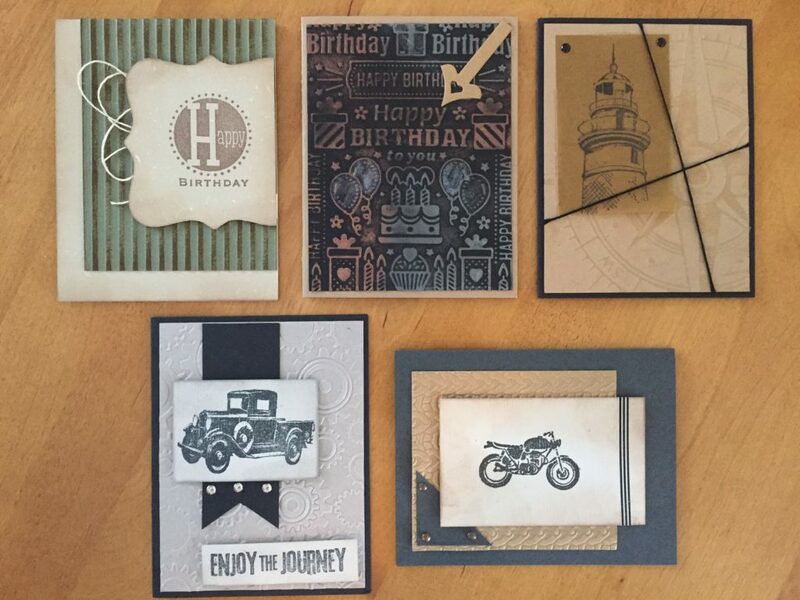 V.I.B.E™ is the newest and easy way to to emboss on vellum. Perfectly laser etched acrylic boards with tracks to follow make it very hard to make a mistake. Just lay your vellum over the board and trace the lines with an embossing tool for a crisp, clean image. These unique and creative projects you will make in this class will amaze all your friends! No supplies needed and you get to keep the boards!! Supplies to bring to class:Smiles! 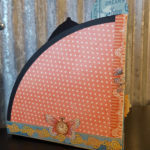 In this class/workshop, students will be working with and gaining knowledge of over 15 of our top product lines in 5 different projects…each one focusing on a main product line with accessory products to finish off/embellish! 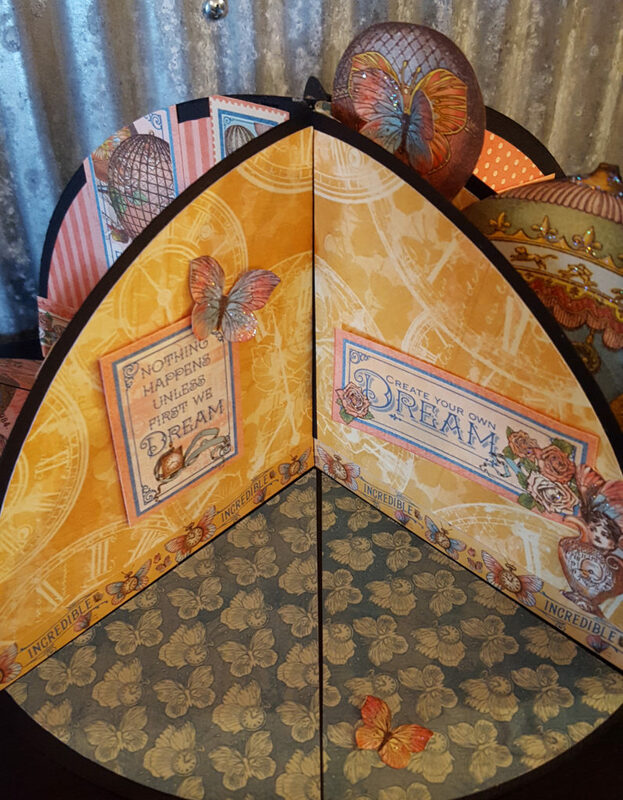 Vintage Hues Vellum, new for 2019 being one of the products as well as Moondust, Vellum Cardstock, and our 2 best sellers GlitterFilm and Vintage Hues Acetates! Students will gain tons of product and technique knowledge so come prepared to jump right in and get busy! Bonus…over $20 in product value for students to take home is included in class cost! Supplies to bring to class:Basic craft kit helpful but not necessary. All supplies & products provided. Description: What better way to learn this 300 year old Dutch Art than on Cards! 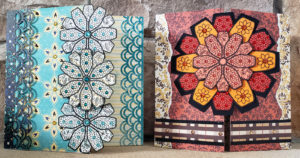 These designs look extremely complicated yet are created easily with instructor Sheila Wy. 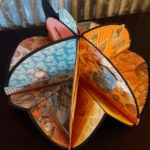 If you can fold a piece of paper, you can “Iris Fold!” You will not only achieve the most beautifully satisfying results in “Standard Iris Folding” but you will also learn how to create “Metallic Inlay Iris Folds” easily! 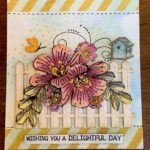 You will complete 2 large A7 Cards and 1 Luggage Tag and will have a reusable pattern guide to take home to create more iris fold of your own! Your friends will never know just how easy it is! 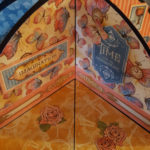 *The project will feature the designs shown, however, due to the unique nature of Iris Folding, the patterned paper may vary. 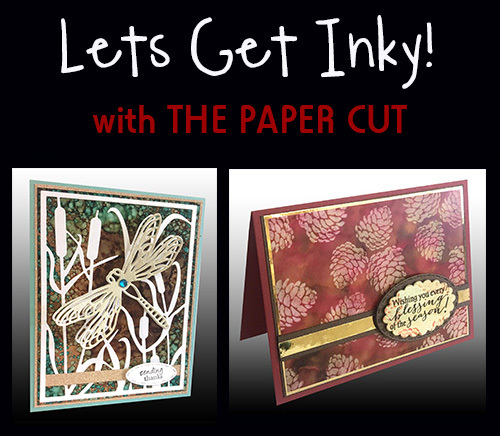 All papers are pre-cut into strips, making this a very relaxing class! 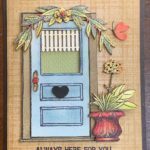 Sometimes you just don’t want to spend hours making a card to send out…then this is a class for you! We will make 6-7 cards that will not look as simple as they are! We will use a variety of techniques and have lots of fun. Supplies to bring to class:Adhesives for die cuts & card assembly including Pop Dots, and scissors. Phyllis will provide everything else. Grays often get overlooked. However they are a staple in our marker collection. Add ons- E41, R30, G40 Books- mid-tones. 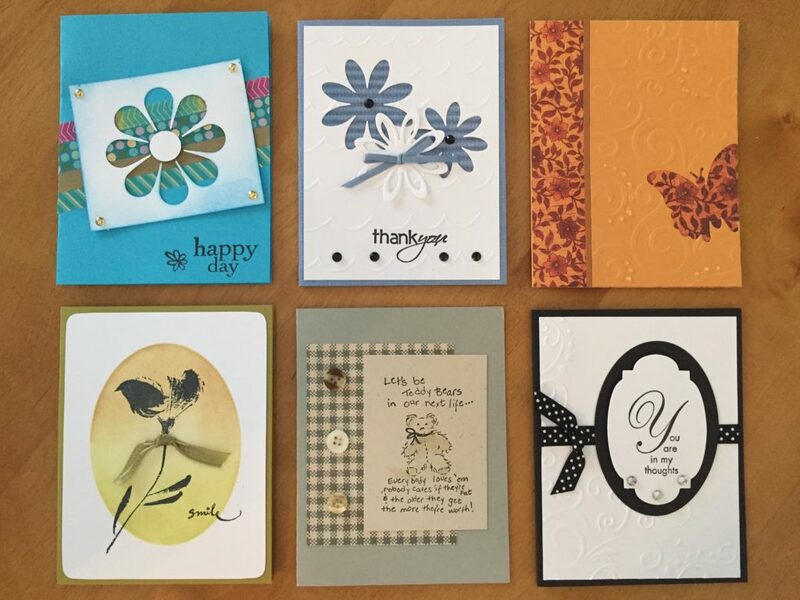 Join me for a fun card-making marathon. 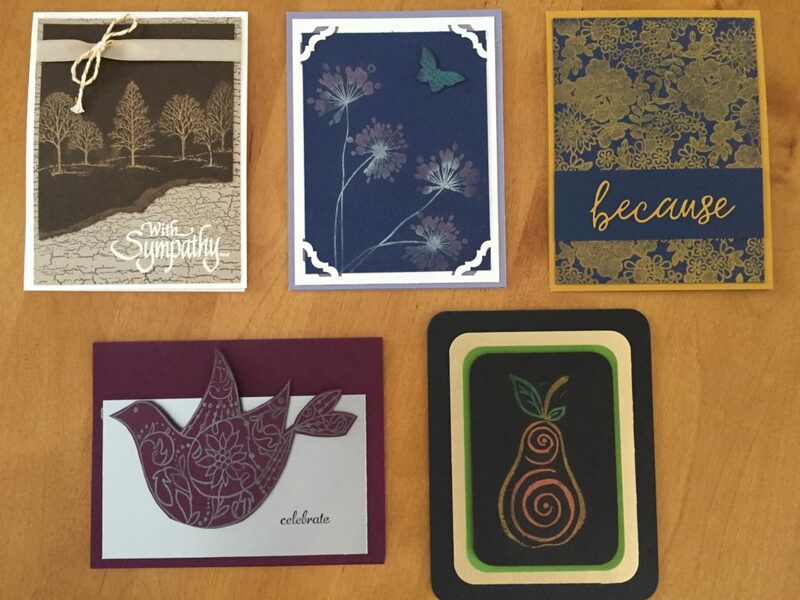 These are not your ordinary cards! 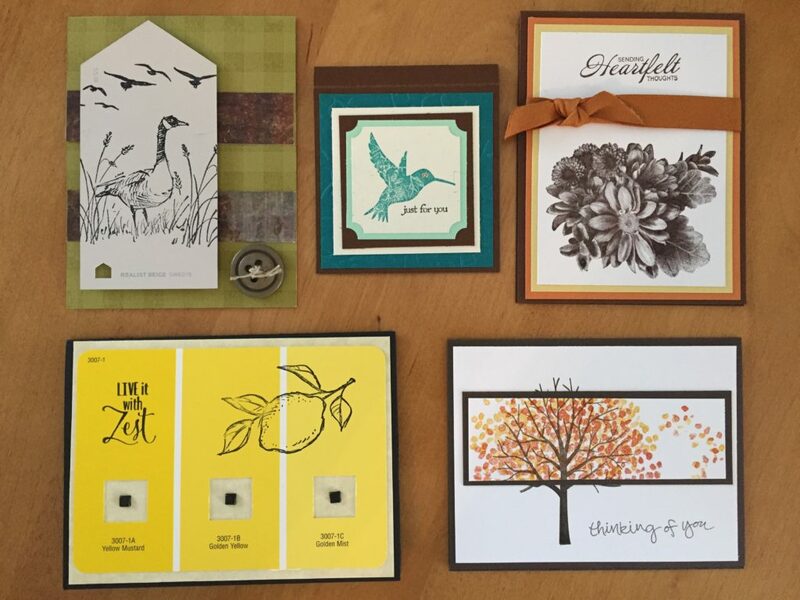 We’ll make mantle-worthy cards that you’ll be proud to present to your special friends/family. 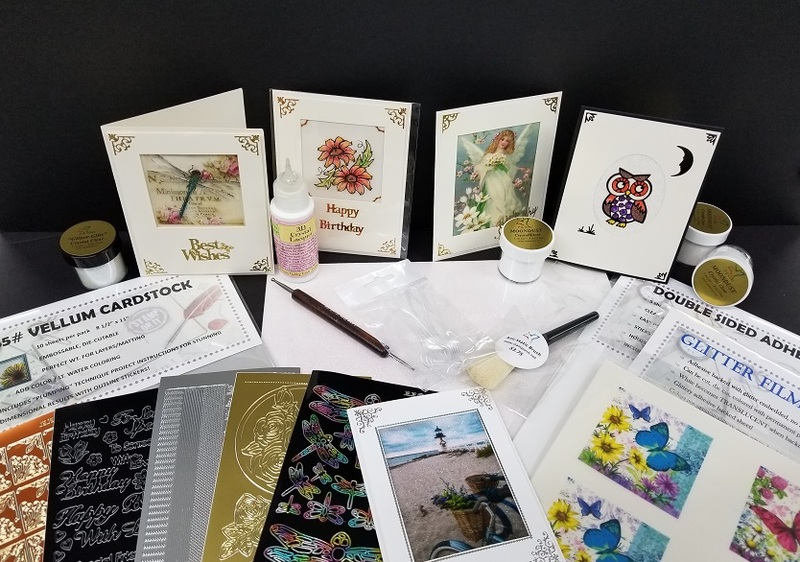 We’ll be using the BRAND NEW for 2019, stamp/stencil sets from Stampers Anonymous. We’ll also throw in some old favorite products, too. 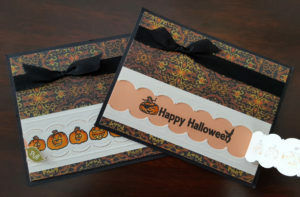 Why do you NEED stencils with the stamp sets? Come and you’ll find out why. Have you ever used my “mat minis”? You’ll learn how! 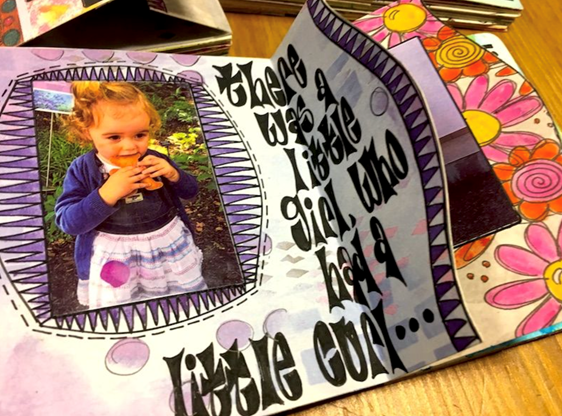 Do you know all about archival and blendable inks… their unique properties…when to use them? I’ll be sharing a ton of info and like the title says, it’s all about tips, tricks & techniques with a twist. Supplies to bring to class: Ranger Craft Sheet, Ranger Round Blending Tool with Multiple Foam Pads, Ranger Detail Blending Tools, Scissors, and if you have a stamp platform, misti, and Wendy Vecchi MAKE ART STAY-tion, please bring to class…oh…and…a friend! 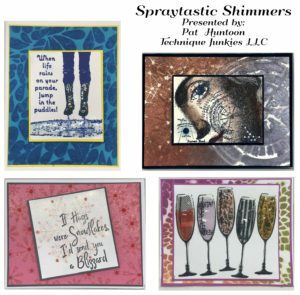 Join us as we create 4 shimmering cards, each using a different spray technique. 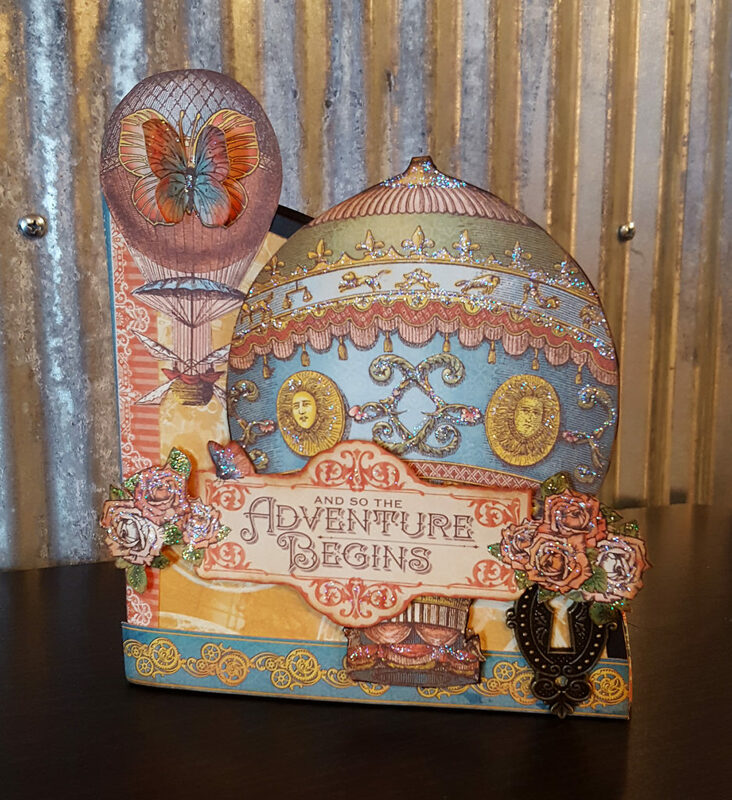 You will use shimmering sprays, stencils, stamps and Nuvo Jewel Drops to make cards with panache and flair! Supplies to bring to class:trimmer, adhesive, baby wipes; craft mat (optional), color pencils, pastel pencils or chalks (with applicator). Make a splash with your cards using TE’s Liquid Watercolor! 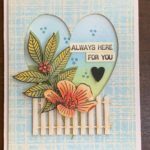 In this class, with Creative Director Taylor VanBruggen, you will make four cards while exploring ombre stripes, color-washed backgrounds, and other fun effects using this new medium. Adding color to your cards has never been more fun! Supplies to bring to class:Liquid adhesive, tape runner, foam tape, scissors, Die Pick, Anti-static Tool for heat embossing, detailer water brush, paper trimmer. 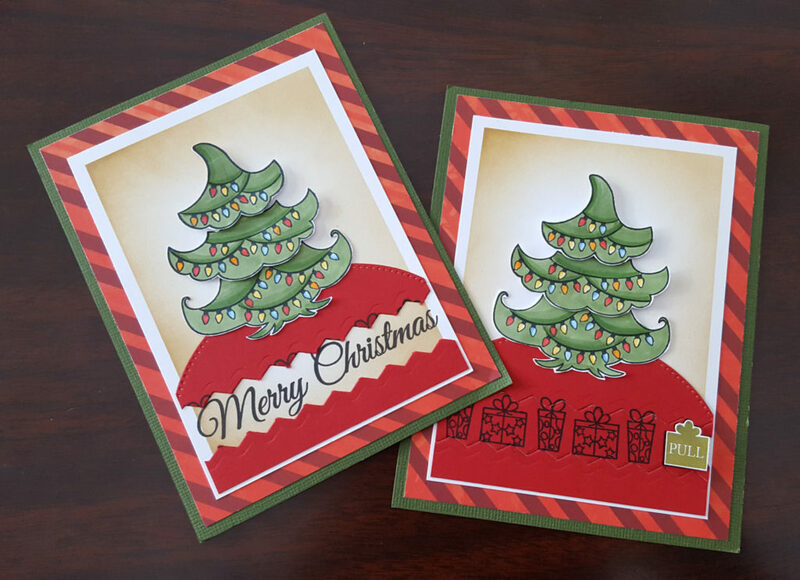 In this class we will make 5 different types of Double Gated cards: Interlocking Double Gated, U Double Gated, Bridge Double Gated, Double Z Double Gated and Reverse Peep-a-Boo Double Gated Cards. 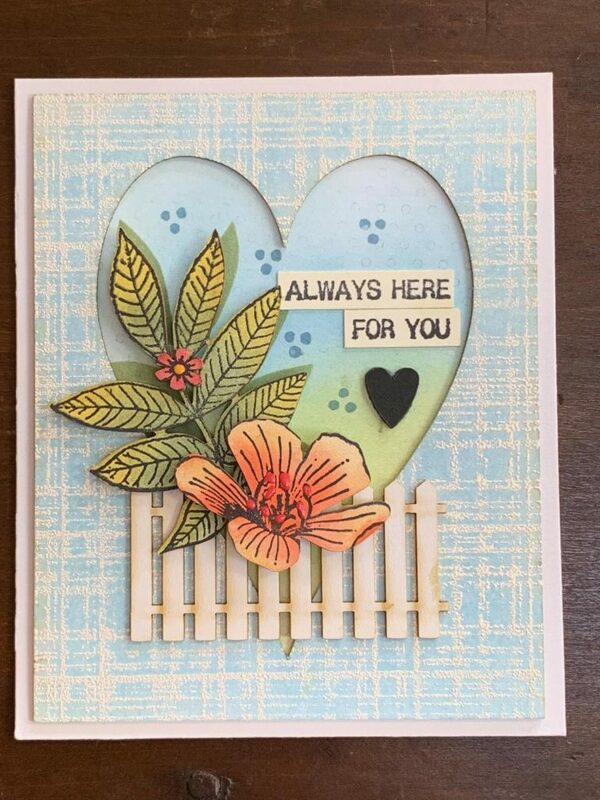 It is a class for all levels of stampers. Materials will be cut and scored for you so you can concentrate on the construction of the card. 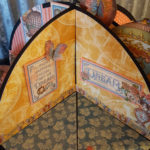 Directions will be included with: step-by-step directions, supply list, sources for supplies, measurements for cutting and scoring, and ideas on how to make variations. 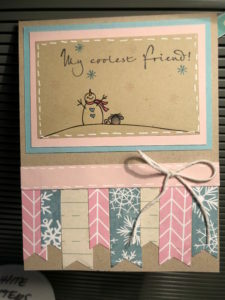 Other samples of Double Gated cards will be available to view for more ideas so bring a camera if you want. Supplies to bring to class:Scissors, bone folder, adhesives including runner, liquid, Scor-tape (or like strong product), mounting cushion (pop-dots, etc.) 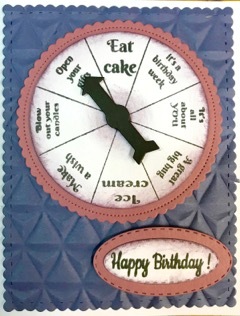 pin or poker week die curs, dark black ink pad for stamping words, pencil and paper for not taking. 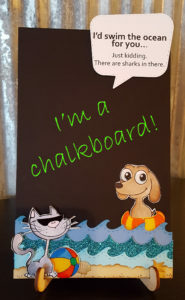 Join Tanya with Riley & Company to make these super fun memo boards that you can write on! 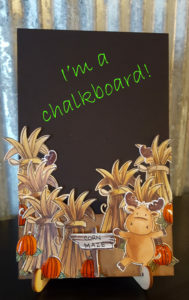 You will make 4 completely different chalk “memo” boards in this class – one for every season! 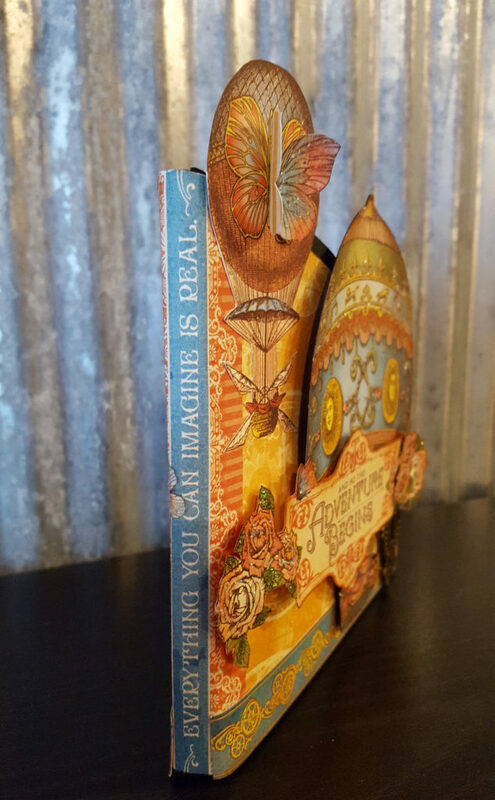 This makes a terrific gift or the perfect kitchen or office décor! 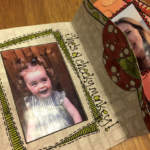 As with all of Tanya’s classes – all materials are pre-cut, pre-stamped and pre-embossed to give you more time to enjoy your class! And, as always, there are plenty of freebies! One Stamp-n-Storage base and 4 – 5” x 8” chalkboards included. We even include a box of chalk! Masculine card ideas are my most requested ideas! 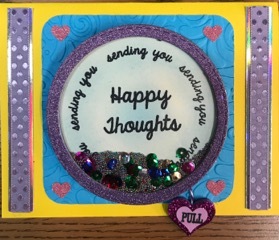 In this class we will focus on the men and create several wonderful guy cards that you will be proud to give to your men!! Supplies to bring to class: Adhesives for card assembly- including pop dots & scissors. 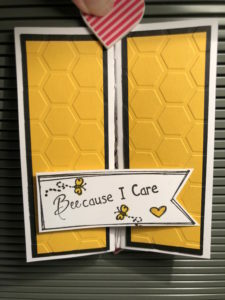 Various techniques will be used to create these 5 all occasion cards (sympathy, get well, masculine, birthday & post-it note holder). Supplies to bring to class:Basic craft kit – scissors, adhesives, pop-dots, versamark ink and permanent black ink. 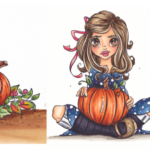 Fall Colors and Pumpkins with Alcohol Markers (Copic) Featuring Stamps by Impression Obsession. I love the colors of autumn. The colors are earthy and rich. This class will help you maximize your understanding on how colors work together while adding depth and texture to add life to your fall images. In class we will: Take an in-depth look at orange and expand it use. Create a reference sheet for future use. Shading on pumpkins, cast shadows, adding texture and details to fall images, and blending outside of family groups. Come and join Dyan making a gorgeous mini book the Dylusions way. Starting with pre-printed pages, we will be assembling the book in Dyan’s own unique way. Learn how shaped borders can make your pages more interesting. 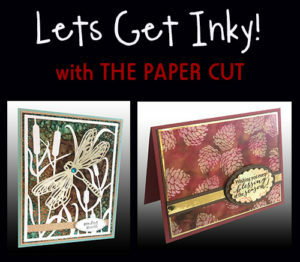 We will be incorporating her latest range of rubber stamps and sayings to fully personalize your masterpiece. Supplies to bring to class: Everything is provided but you may prefer to bring your own scissors. If you want to add photos, Dy’s are from the sprocket printer and measure approximately 2” x 3”. 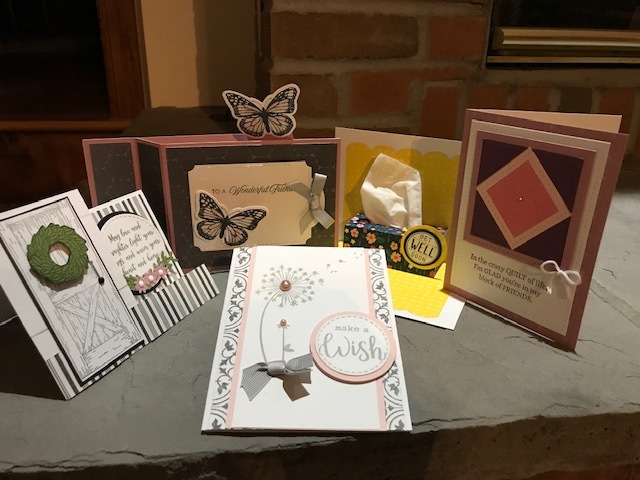 Supplies to bring to class:Tweezers is an absolute must; detailed scissors; adhesive of choice (Scor-Tape and/or adhesive); any liquid glue other than a quickie glue pen; pop dots. Our new “Seas the Day Collection” of stamps, papers and dies are used in three of these five cards. 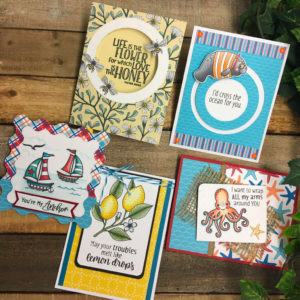 Create a spinner card with a playful manatee, a shape card with our wavy layered dies and a fun card with our new octopus stamp. 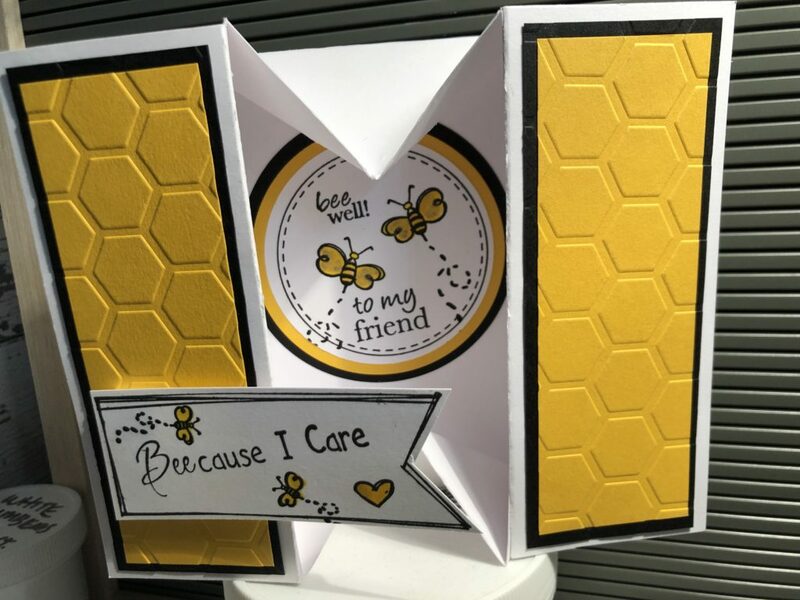 There will be lots of buzz around the fourth card with an acetate window and plenty of bees. The final lemon card will make all your troubles melt away. We have pre-colored the images so you will have time to finish all five cards. You will also take with you a $2 coupon to be used in our Dare 2B Artzy booth. Supplies to bring to class: Score tape, foam tape, scissors and adhesive. 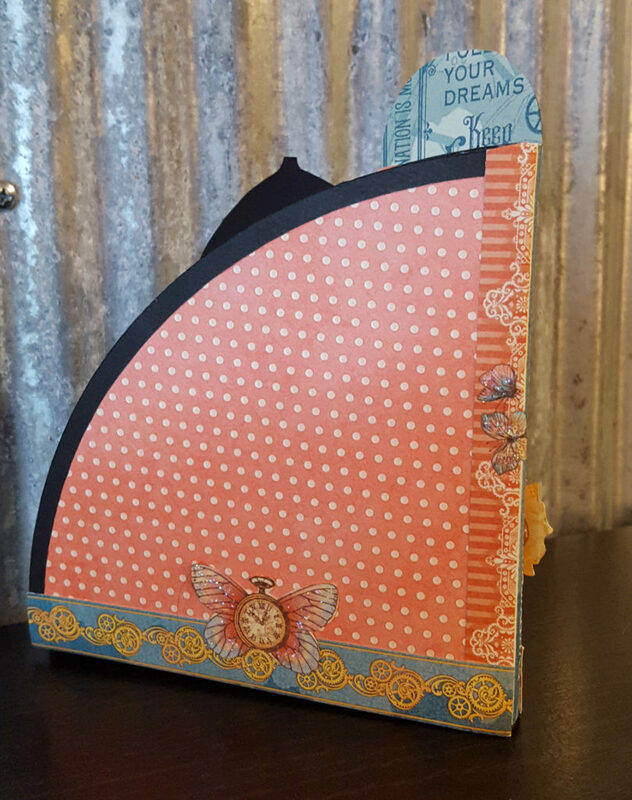 Let Tanya with Riley & Company/Prickley Pear show you how to make this gorgeous circle book out of 5 – 11” black circles and Graphic 45 paper! It’s easier than it looks! You will make 5 separate “rooms” and decorate them, as well as decorate the front and back. 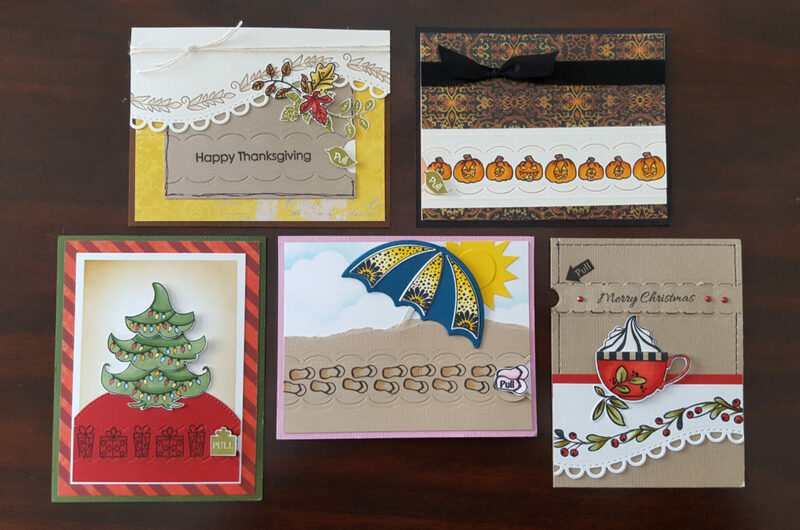 As with all of Tanya’s classes – all materials are pre-cut, pre-stamped and pre-embossed to give you more time to enjoy your class! And, as always, there are plenty of freebies! Supplies to bring to class:scissors, choice of adhesive, zots 3D pop dots, black Sharpie Marker, lots of double stick tape. Creek Bank Creations will be sponsoring this class. 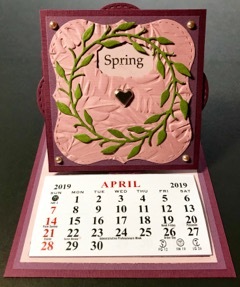 We will be doing a Shaker Spinner card, Birthday Spinner card, Calendar card that spins to show the 4 seasons, and a Pop & Twist card made with Creek Bank Creations new die. (No more fussy cutting or measuring, this die does it all). There will be a surprise not shown. Creek Bank Creations will be donating a door prize to be given out at the end of class. 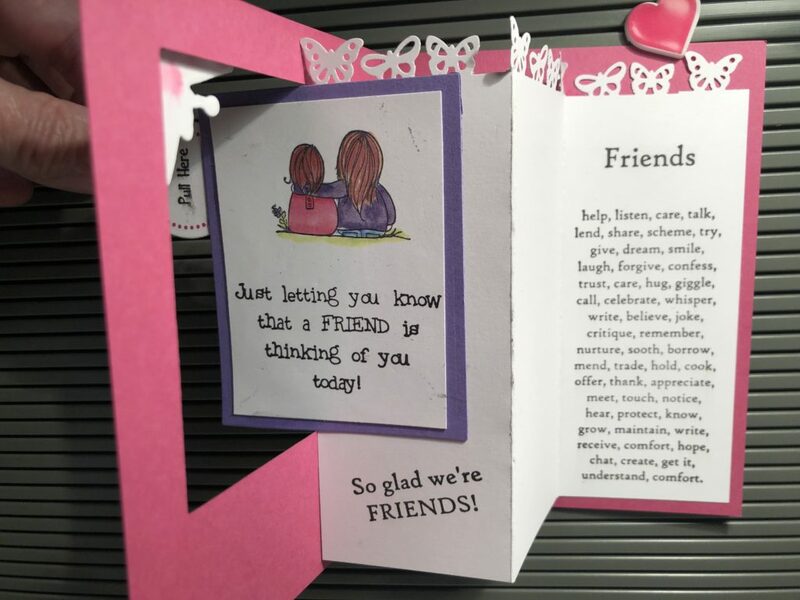 Other products used are by Gary Burlin & Co.
Supplies to bring to class:Adhesives, glue, pop dots, small glue dots, bone folder, scissors. You will make 5 cards using Perfect Pearls powders in various colors. Shimmery and detailed, this product adds a fabulous metallic & pearlescent finish to every project. Supplies to bring to class:Basic craft kit- including scissors, adhesives, pop dots, Versamark Ink, and black ink. Creating a surf line, Sky at Dusk, Sandy beaches. 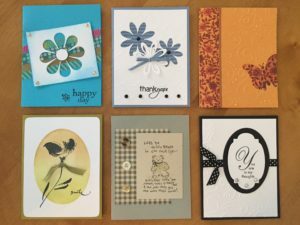 Antics, Stampers Anonymous, Darcie’s, and Gary Burlin. 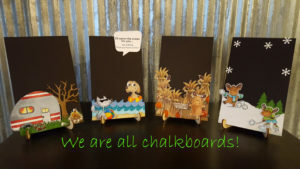 In this class we will make 5 different types of easel cards: Stepped Easel, Triple Stacked Easel, Pop Out Easel, Reverse Easel and Multiple Leveled Easel cards. 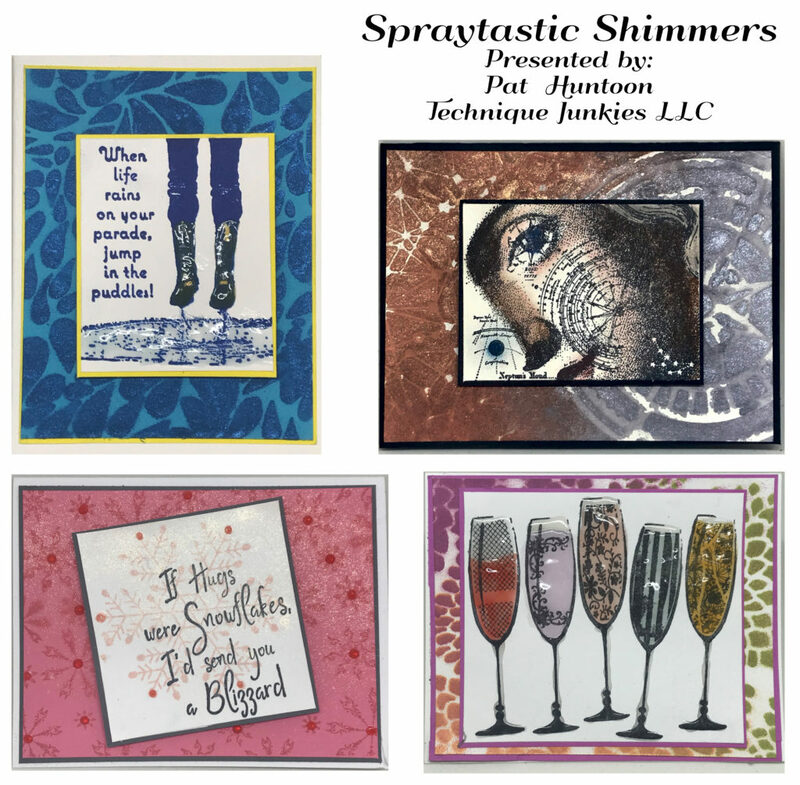 It is a class for all levels of stampers. 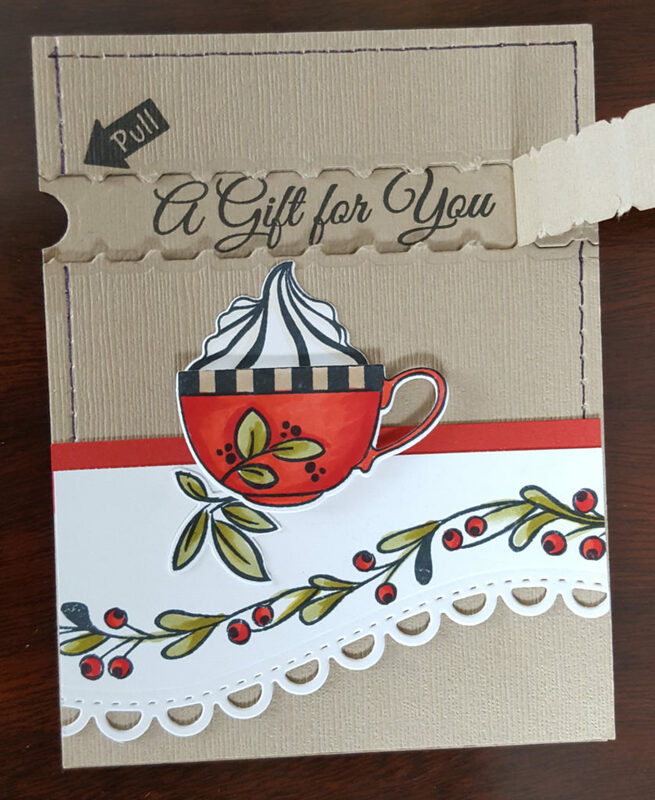 Materials will be cut and scored for you so you can concentrate on the construction of the card. 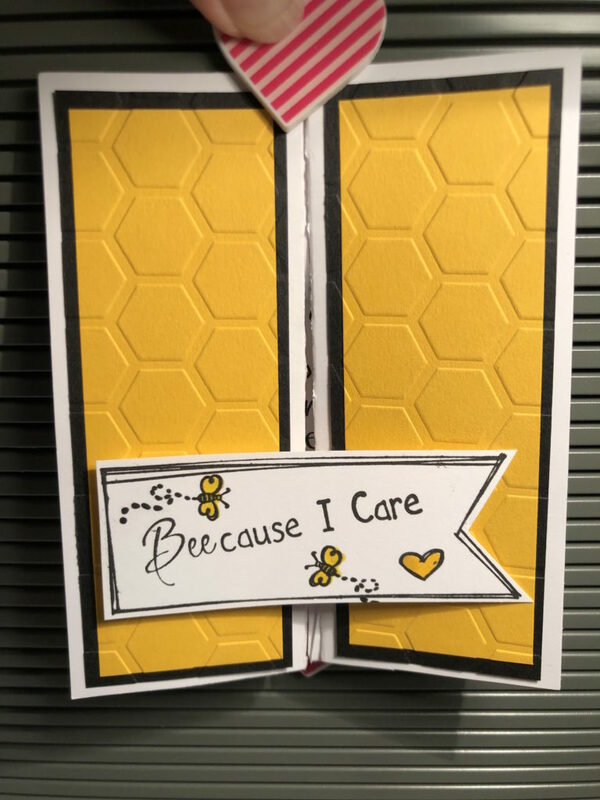 Directions will be included with: step-by-step directions, supply list, sources for supplies, measurements for cutting and scoring, and ideas on how to make variations. 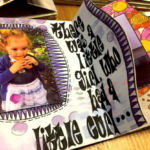 Other samples of step cards will be available to view for more ideas so bring a camera if you want. Supplies to bring to class:Scissors; bone folder; adhesives including runner, liquid, Scor-Tape (or like strong product), mounting cushion (pop-dots, etc. 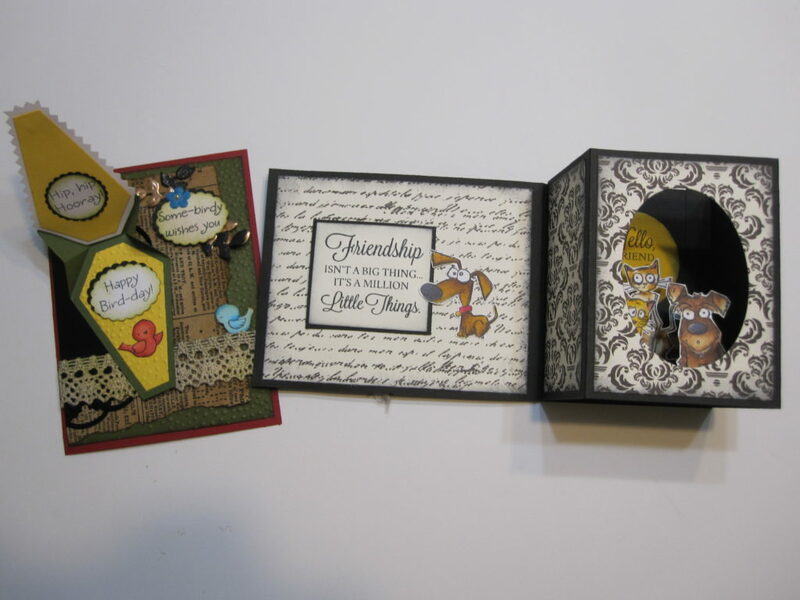 ); pin or poker to weed die cuts; dark black ink pad for stamping words; pencil for note taking. Alcohol Ink Ghosting, Lifts and Other Tricks! There is a really easy way to achieve gorgeous, crisp designs in your alcohol ink art. 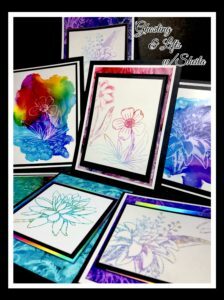 Professional Alcohol Ink Artist Sheila Wy, will show you how to get perfect results every time! Everyone will complete 6 projects and receive a special one of a kind alcohol inked gift. All projects are completed in your seats, as a class with no wait. Designs and colors will vary making this a truly unique creative experience. Supplies to bring to class: 1 three pack alcohol ink (no pastels), tape runner, 1 alcohol ink lift pad, 3-5 of your favorite stamps to use in project, 10 sheets paper towels, and a smile!! 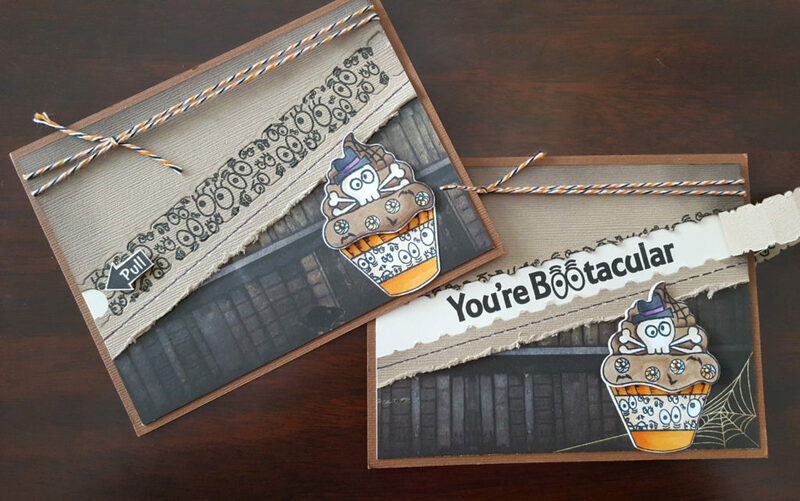 If you own a Stamp Positioner and are not using it all of the time, this class is for you! I will teach you a large variety of ways to make this as useful in stamping as your scissors. You will be making a technique book, with a description of why, how and then a sample for each technique. You MUST bring your own Stamp Positioner to class to use. I will have my two Stamp Positioners, but they will be set of specific techniques. 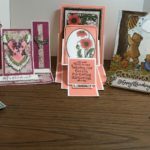 This is not a card class but you will go home with a 4 ¾” x 6 ¼” book to help you use your Stamp Positioner when making your cards. 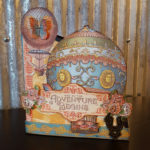 Supplies to bring to class: Stamp Positioner (Misty, Tim Holtz etc. ), Scissors, adhesive to attach samples, pencil for note taking. Supplies to bring: Scissors, adhesive, foam tape, bone folder, ruler. 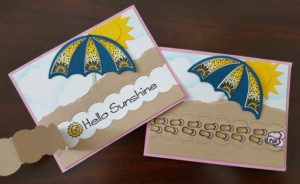 Come explore the latest fun, playful lines from Avery Elle, Waffle Flower and Sunny Studio. 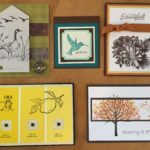 We will make 4 exquisitely designed cards using various techniques with background dies, frames, stamping coloring with Nuvo Creative Pens, Catherine Pooler inks, Life Changing Blender brushes and more! Supplies to bring to class: Adhesive and pop dots. In 63/57, you will create two incredible oversized magnetic closure6”x6” cards. 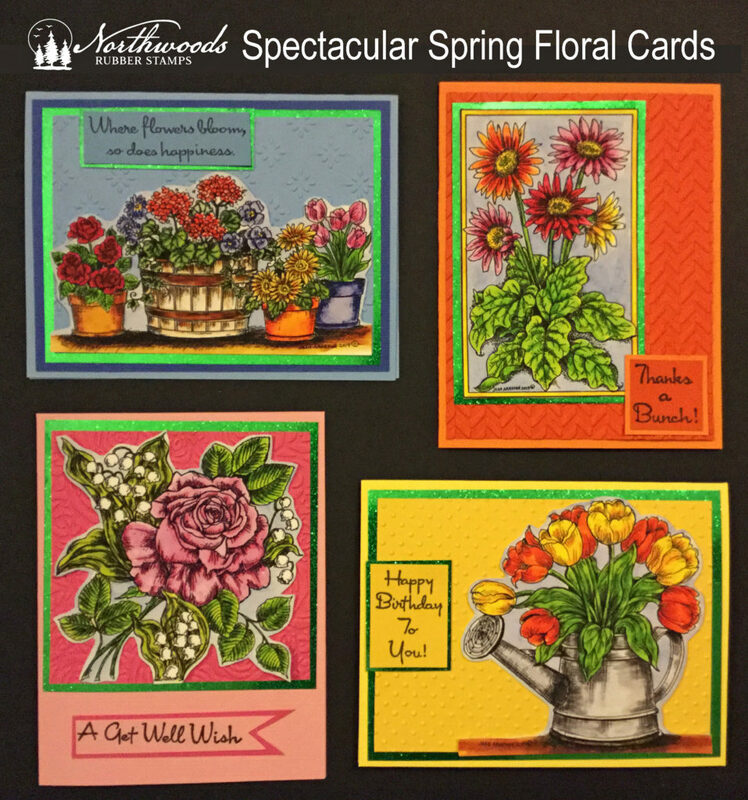 These user-friendly stamps have extremely impressive results. 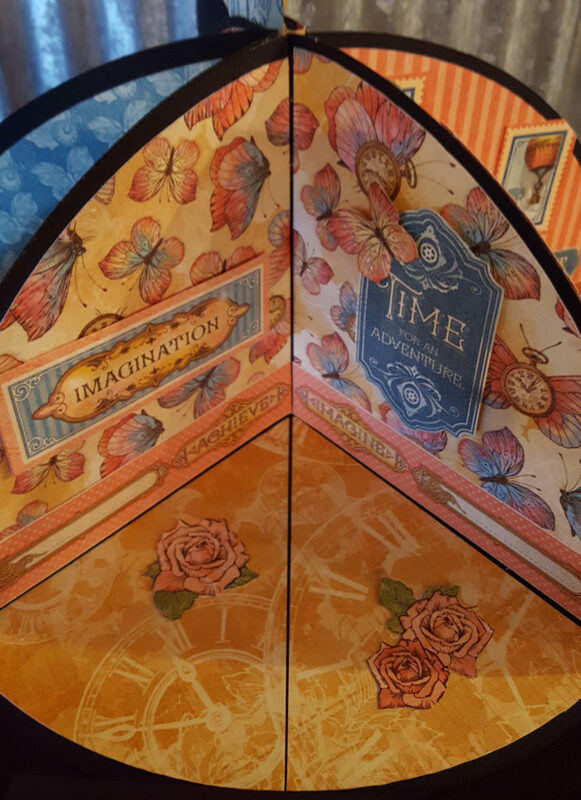 We will be using Stamplistic’s Marguerite stamp which is one of our cut and layer stamps, to achieve breathtaking results. Of course as the name implies, these cards are loaded with Swarovski crystals. The first card features 63 and the second card has 57. 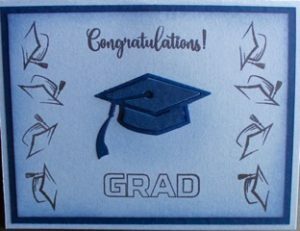 Every Student will get to take the Marguerite stamp home with them for FREE (retails for $12.65). With all the Swarovski shine taking place in this class, sunglasses are optional! Supplies to bring to class:detailed scissors, adhesive of choice (ScorTape and /or roll adhesive), pop dots and a 12”x12” trimmer. 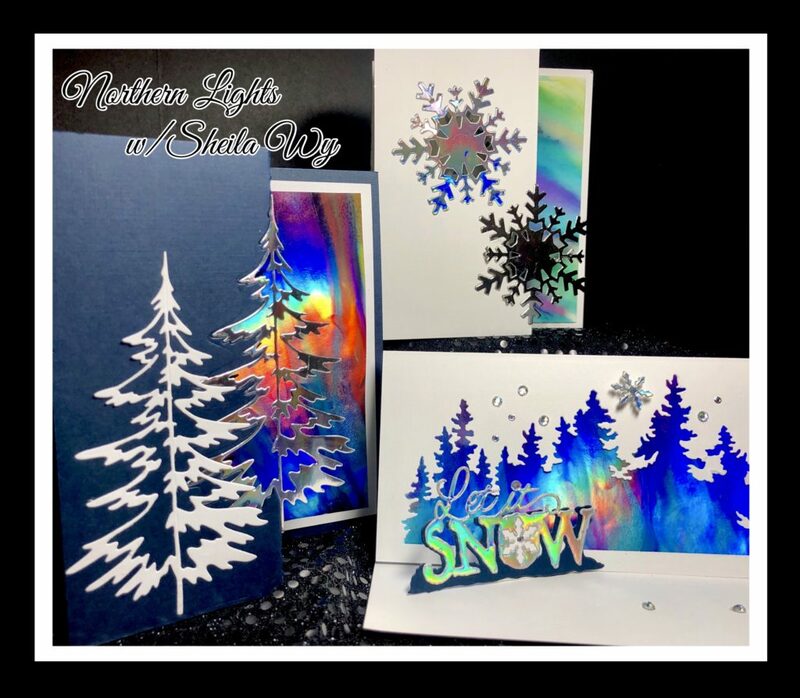 Create Alcohol Inked Northern Lights landscapes and learn an easy fold that shows off their beauty. Everyone will complete 3 cards, receive measurements for each card, and receive a one of a kind alcohol inked gift. 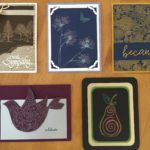 Come hang out and learn how to make interactive cards using the newest product lines from Lawn Fawn, Hero Arts and Concord and 9th. 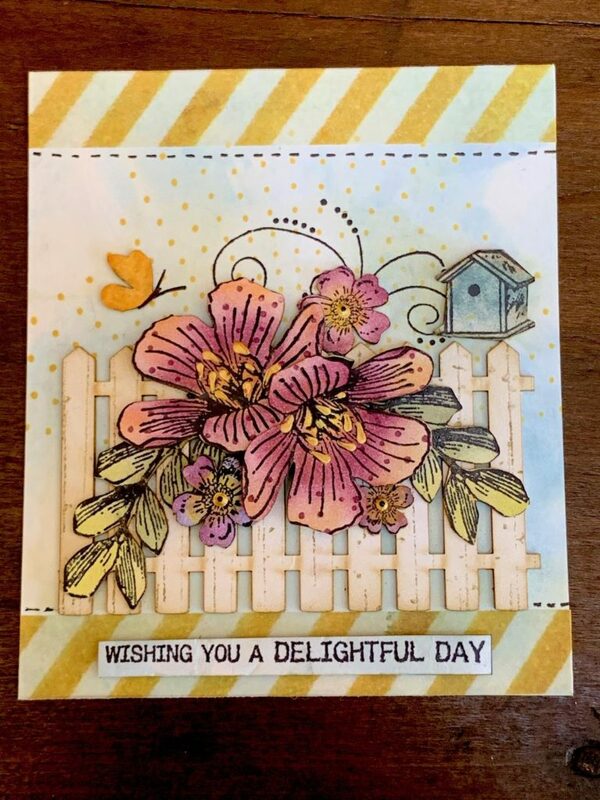 See how easy it is to create the Magic Picture Changer, make background paper using Gina K Inks and stamps and make stunning cards using Turnabouts and layered inks. 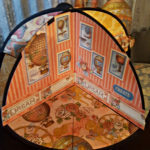 You will be going home with 4 amazing creations understanding how simple and fast these techniques change your crafting world! Supplies to bring to class: adhesive and pop-dots. ONLINE CLASS REGISTRATION WILL CLOSE ON THURSDAY, APRIL 26 AT 12:00 pm. You can register for classes on-site if the class is still open. Check for availability at the class registration table. We only accept CASH payment on-site. Cancellation of any class more than 30 days prior to the class date will receive a full refund, less a $10 service charge. All cancellation requests must be made in writing. No refunds will be made if a class is cancelled less than 30 days prior to the class. Sometimes a class has to be cancelled if there are not enough students registered. If this should happen, you will have the option to take another class (if available) or receive a total refund of the class fee. 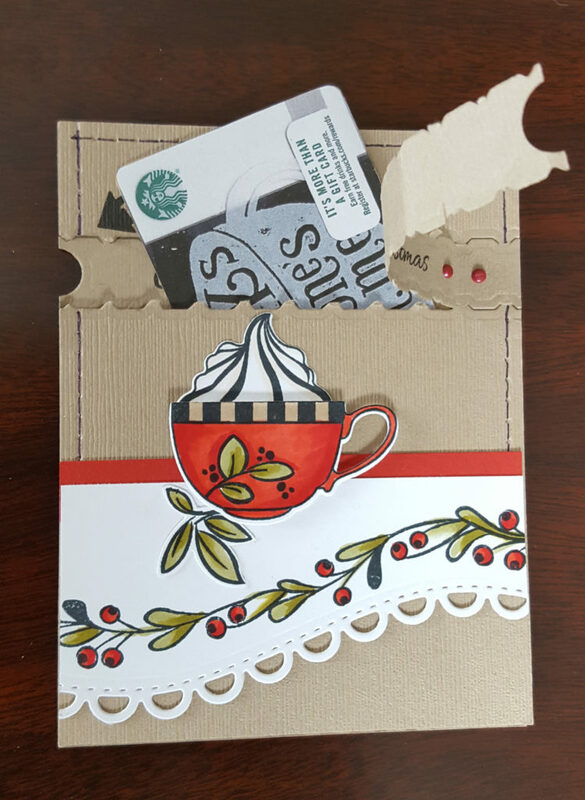 We recommend that you bring your basic crafting supplies with you to your class. Suggested items….